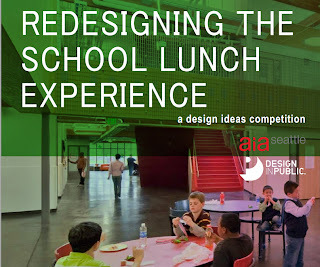 Design in Public, a strategic initiative of AIA Seattle whose mission is to use design to create a healthier and more livable city, has partnered with design firm DLR Group to bring this year's Design Ideas Competition. Any creative thinkers who are passionate about solving this problem are welcome to submit proposals, the competition is open internationally to both individuals and teams. Multidisciplinary teams are strongly encouraged. Possibilities include designers, school district staff, educators, nutritionists, architects, engineers, medical professionals, parents, or students. Think freely and creatively. Analyze the problem. Identify the most important factors. Design your solution. Proposals will be presented as a 5 page PDF graphic summary and a 60 second video submission. Projects will be judged primarily on how well the proposal addresses the challenge, innovation, and the clarity of presentation. 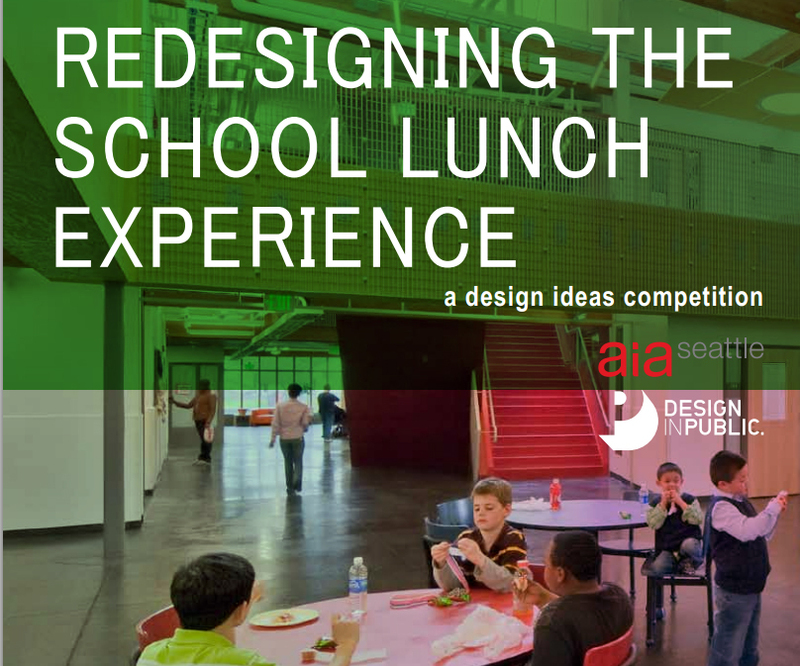 Leveraging of multiple disciplines, simple, and powerful ideas are encouraged. The graphic summary and video will be equally weighted. Please see website for full competition brief including submittal requirements, deadlines, and registration information.